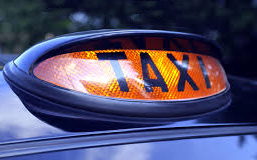 Our price promise, public rank taxi tariffs are set for all licensed taxis by the Jersey States 'Driver Vehicle Standards' Department (DVS), and those are the fixed prices that we charge. All the meters are sealed and made tamper proof by the DVS, which means they cannot be adjusted by the driver...if you either go to one of our designated taxi ranks, hail or pre-book with any of our JTDA members you can safely rest assure in the knowledge that you will not be charged anymore than the controlled tariffs for that journey. 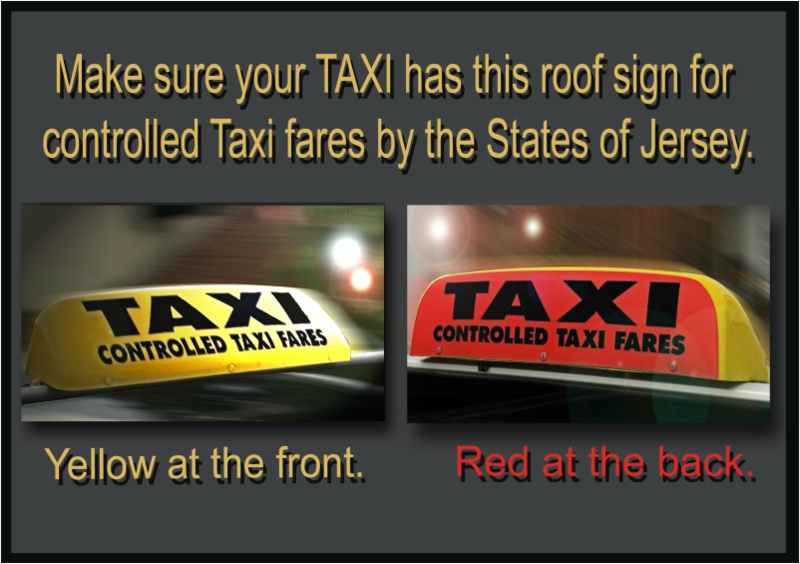 Don't forget to lookout for our TAXI roof signs to be sure of getting into a Public Rank Taxi. Some manufacturers of purpose built Taxis have the signs built into the vehicle and may look like this opposite with just the word TAXI. Also all Public Rank Taxis have a yellow PSV plate on the back of each vehicle.